Do you frequently change your ringtones? Keeping the same ringtone for a long time can be boring but changing ringtones can cost money. But what if I tell you that you can get free ringtones. The Internet is full of websites which shows they are offering free ringtones. But most of them are misleading and you end up finding only paid one. They will route you to the paid download link so smartly that you won’t even realize. So what is the best way to get the free ringtones? There are lots of genuine websites who offer free ringtones without any hassle. All you need to search, analyze and validate before initiating the download. 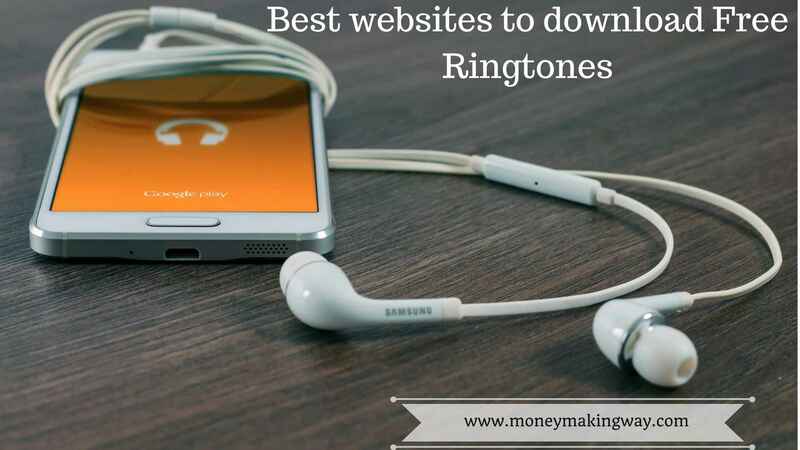 To make your job easy we have compiled the list of genuine websites who offer free ringtones legally. It is always good to download the ringtones from a legally established website to keep yourself away from Piracy issue. Which is the biggest problem that entertainment industry is currently facing. The list which we are sharing is the leading websites which provide piracy free ringtones legally. And you can download or send ringtone directly to your phone. Please ensure this is only for Android users. If you are using iPhone or any other IOS device then you first need to download this to your desktop and then you can transfer to your mobile phone. Zedge is the most popular website for ringtones and wallpapers and been around from almost a decade. They also have an app available so you can download directly to your cell phones. As per the current status, there are 215 million apps installed and has 30 million active users every month. Apart from ringtones and wallpapers, you can also personalize your phone with icons and widgets. They also provide platforms to artist, brands, and teams to promote the products. Tones7 is another good website to personalize your phone with wallpapers, pictures, themes, and ringtones. You will find all the genres including Jazz, hip-hop, pop, Rnb, Latin, Blues, Dance and much more. As compared to Zedge you will find fewer varieties but it is really easy to download and all ringtones are free from Piracy. This website not only provides free ringtones but you can also create your ringtone by using song and music. Just upload the file and cut it according to your requirement. Now download the file as a ringtone. You can browse the ringtones by Artist, or categories which include Movies, International, Bollywood, Music, funny, dance, SMS alerts, and sound effects. This website is just more than free ringtones. Here you can personalize your phone with videos, games, pictures, chat rooms, jokes, and many other things. You can browse ringtones through the daily top, featured, new, and popular tones. This website also provides the facility to make your own tone same as www.free-ringtones.cc. You will find the supportive format of MP3, MP4, MMF, QCP, and AMR. Notification sound is a great website to get varieties of free ringtones. And includes some cool genres like Animals, Christmas, featured sounds, funny Message, Mini, wake-up, and Vuvuzela ringtones. It supports MP3, M4R, and ogg but you won’t find any feature of making your own tone. The website has lots of good categories and has plenty of free ringtones. But the only drawback is that they don’t have the app and you need to download this first on your desktop and then need to upload to your mobile phone. But you will find more than 25 categories listed with some of the good ringtones. The website is quite competitive and has numerous categories free ringtones. Including Country, electronica, games, dance, children’s, comedy, animals, rock, Russian and much more which you won’t find with other websites. Downloading is also very easy just browse the category and click on the link to download. EPOS Media is a small company based in the Czech Republic and started its online media project in the year 2007 which is now known as Madringtones. They have added some additional features which help you to choose better ringtones. Like comment system where you share your feedback and experience about the ringtones. The rating system which tells you how good the ringtone is. And at last the genre which tells it’s category under which it falls. Ringtones are better ways to make your phones more personalized and lively. And it becomes more interesting if we can find these with free of cost. Our list will help you to download free ringtones legally with all genres. And you can use these for your Android, iPhone, and IOS devices. Some of the websites even offer you a feature of creating your own ringtones.